Surprise and delight isn’t a strategy; it comes from going above and beyond when you don’t have to. Excellent customer service means constant work and a commitment to your employees. At the end of the day, employees are always central to the customer experience. This week’s article is by Micah Solomon: “10 Steps to Glowing Customer Service Reviews and Survey Results, Even if You Just Got Slammed.” This excellent write-up has several suggestions to make your customer service remarkable. From running a mystery shopping exercise to why investment in your employee journey is the best thing you can do for your customer journey, there are actionable tips for everyone. You have to have the right structure in place to make great customer service happen. Customer service and customer experience creation are not “once and done” efforts. Constantly remind your employees of your customer service priorities. It’s so much easier and less expensive to stay home to watch the big game, so when we make an effort to see it live, we have big expectations for that experience. The key is for every person employed by the team to use their enthusiasm to surprise and delight customers by making memorable moments. Employees create the customer experience. Moments, where employees can surprise and delight with their enthusiasm and fun, are what make memories. When a gas fireplace repairman didn’t have to fix anything, he didn’t charge for coming out and just asked that Dan refer him to his friends. A gutter repairman refunded Dan when a job turned out to be less expensive than he had estimated. Dan was camping in Dousman, Wisconsin when he needed to stop at a convenience store for beer. They had forgotten paper towels, and when he asked where in town he could get some, the cashier just handed him a new roll for free. In all these examples, people brought honesty and humanity into the customer experience. The surprise and delight element of a customer experience doesn’t have to be part of a strategy. Any business can be honest, price their products and services fairly, and go above and beyond regularly. 38% of small business owners are concerned about the question, “Are we able to leverage our current customer base for upsell and resell opportunities?” This stat comes from Oracle’s “Sleepless Over Customer Experience” report. The secret is to make your customers love the product or service they already have instead of trying to sell to everyone. Create an exceptional customer experience and sales will follow. Dan: Get ready for another episode of the, "Experience This!" Show. Joey: Join us, as we discuss getting glowing reviews, when it's fun, or painful to root, root, root for the home team, and how surprise and delight moments need to be unscripted. Dan: Glowing, sporting, and surprising, oh my! Joey: There's so many great customer experience articles to read, but who has the time? We summarize them, and offer clear takeaways you can implement starting tomorrow. Enjoy this segment of, ["See Express 00:00:38]," where we read the articles, so you don't need to. Dan: Today's See Express comes to us from customer service expert Micah Solomon writing on Forbes in an article entitled, "10 Steps to Glowing Customer Service Reviews, and Survey Results, Even If You Just Got Slammed." What we're going to do this time, is we're going to walk through Micah's 10 Steps to Glowing Customer Service Reviews, and we'll give you a comment on each one of them. Step number one, have a mystery shopping style review done of your operation. Now I love this example, because we should be mystery shopping all the time, and one of the things that employees, and executives often forget about, is the best way to understand how a customer experiences your business, is to go and experience your business just as they would. Whatever your business, whether it's a retailer, if you're online, you should go onto your website, or your mobile app, you should call your 800-number. It is always a good idea to have a mystery shopper, you will find things that you completely do not expect. Joey: So true. Number two, review your customer facing digital assets. I understand that it's a pain to create new digital assets, and once you're done doing this, of course you find yourself thinking, "I never want to go back, and look at that again," and you move on to the next project, or the next task. The problem with that, as so beautifully outlined by Micah on this article, is that if you don't go back and look, you miss the fact that you may be punishing your customers with old information, old messaging, messaging that is off brand, messaging that hasn't involved with you. You want to make sure that you're constantly reviewing the things that you have out in the marketplace representing you. That would be your website, if you have a downloadable PDF, your voicemail messages, anything that you have that are going out to the world, representing your brand, that you built once upon a time, and haven't looked at in a long time, it's now time to go check them out again. Dan: Number three, is to create a short bedrock statement of principles, or your customer service constitution. What Micah suggests, is that you put about 8 to maybe 12 principles on a piece of paper that really are your philosophy for customer facing interactions, and I think this is a great idea. I write about this in my book, "Winning at Social Customer Care," that you have to have a social media customer service philosophy, and the reason for that, is once you write it down on paper, you can share it with your employees, you know that everybody is working from the same playbook, and is pedaling in the same direction towards a common goal. If you don't write it down, then people can interpret it differently, or even come up with their own principles, and that generally leads to an inconsistent experience. I think this is a great idea, number three, of Steps to Glowing Customer Service Reviews, and Survey Results. Joey, what's number four? Joey: Number four, build out your broadly applicable customer service standards, and guidelines, as well as more specific customer interaction standards, and protocols. I think this is a really fancy way of building on the point you just made Dan, about these bedrock statement of principles, and what it means is, you've got to give everyone on your team a baseline for how they should handle customer service. What are the general principles behind what we're doing? What are the goals we're going for when we have interactions? What are the techniques we can apply to these interactions with customers, and this broad sweeping prime directives, if you're a fan of science fiction, that give you an idea of the general mood that you should be setting, and the general direction you should be goin in. Additionally, in every business, there are scenarios that happen all the time. Specific customer interactions that create strife, or create challenges on a regular basis, and while of course we would encourage you to figure out ways to design around these, and reform your processes, so that you don't have these, sometimes there are particular situations that are gonna come up, that you just have to be ready to handle. For example, if you're an airline, you know that someone is going to miss their connection, it's going to happen, it may be totally out of your control, you should have specific customer interaction standards that are set up, so that your employees know ... It's like the FAQs of your employees. These things happen a lot, how are we ready to handle them in a way that is in alignment with the overall customer experience we're trying to create? Dan: Number five, is to create abbreviated versions of these documents that Joey just described, and place them at locations where employees will need a reminder, and it gives examples, like at a reception desk, or at a point-of-sale counter, at a phone terminal, or something like that, where your employees are going to be, and they're going to have a chance to read it, and be reminded of it. Just typing it up, and putting it into a computer file, or even just printing it out, and handing it to employees, is really not enough, they need to be reminded when they're in the moment with a customer about your principles, and how your company views each and every customer interaction. The best way to do that, is to consistently remind them at the moment, and so putting these documents in a visible place, is a great way to do that. 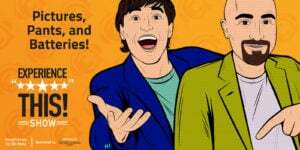 Joey: Absolutely, number six on our 10 steps to Glowing Customer Service Reviews, and Survey Results, you need to double down on your customer service training. This one is so important, lots of times we think as business owners, or managers, "Well, we trained those people when they came on." You know when you're done training in customer service? When you're done working, meaning you've retired, and you no longer have a position with the company. Every employee should receive regular, and frequent customer service training, it's not enough to just say, "Well, these are our principles, and our policies," and put that down in writing. That's great, we need to give people real life experiences of how to do this. I'm reminded of that age-old maxim in the world of training, the manager says, "Well, what if we train them, and they leave?" The person doing the training says, "Well, what if we don't train them, and they stay?" We need to be doing a better job of training our team members on their customer service, and make that a regular practice. Dan what about number seven? Dan: Thanks for asking Joey, number seven is to build out a plan for daily reinforcement of customer service excellent. You can see this in a lot of companies, you might see a daily huddle of customer service agents, or maybe it's people who work at the counter of a hotel, or others who are serving customers. That daily huddle is the opportunity for a manager, or some sort of a supervisor, to just get everybody into the moment, and remember that we're all here, we all work at companies, because we have customers. If we lose the customers, we don't have the company anymore, and then we don't have a job, and so there's a daily reinforcement that I think is needed, and often welcomed. It can be fun, it can be in the form of a game, or maybe a daily contest of some sort, but reminding your customers every day when they step out of their lives, and into their jobs, that they are the face of the company to the customer every day, and reminding them how to behave, and to put the customer first, is a really key point, so I like number seven from Micah. Joey: Number eight, we need to review, and revamp our talent management approach. As companies move to become more customer centric, and more customer experience focused, what we often find, is that the way that employees are onboarded, the way they're entreated internally, the way we move them through their careers within the organization, aren't in alignment with the standards we're trying to set for how they treat customers. If you want your employees to create remarkable experiences for your customers, your employees need to know what a remarkable experience looks like. We need to be thinking about the employee journey, not just the customer journey. How are we recruiting, selecting, and onboarding these types of employees? How are we supporting them as they navigate doing business with us within their position, and growing their own career within our organization? How do we get them to become raving fans, and zealous advocates of everything we do? Your talent management approach to the employee journey, needs the same level of attention, focus, and dedication as you would give to your customer journey. Dan, what about number nine? Dan: Number nine, is to make sure that you empower these employees. Give them the power, and the financial resources to solve customer complaints, and also to create those wow moments. We've seen a lot of case studies on this, companies that come to mind here, arr Ritz-Carlton, Nordstrom, Zappos, we talked in a recent episode about [LANSAND 00:09:59], and its endless return policy. There are lots of companies that really get this, and part of the reason, is because their employees are empowered to deliver remarkable experiences. They're not worried that somebody's getting to get mad at them for spending a couple extra dollars to make a customer happy, or a few extra dollars to surprise, and delight a customer. They understand that by creating those experiences, they're creating loyalty, they're creating customers that are going to go, and tell their friends, and post on social media positive things about the company, and that, that value far outweighs whatever cost there was. Empowering employees, you've got to hire the right ones, you gotta train them well, and then you've gotta empower them to go out and do their thing. Joey: Absolutely, and number 10 on our 10 point list, implement a step-by-step customer service recovery procedure. What do we mean by that? Well, let's be candid, there are going to be times when things go wrong, when the best laid plans of Mice and Men go awry, and the next thing we know, the customer service we're trying to deliver, just doesn't happen. Your employees, your team should be ready in those moments to jump in, and make the situation better. They should have been trained, they should know what the next steps are, they should be ready to do this. Everybody worries about making a mistake that's customer facing, and the irony of all ironies here, is the research shows, that if you have a stumble with a customer, and actually do something wrong when it comes to the customer experience, and you correct that efficiently, and effectively, and leave the customer feeling even better than they were before the mistake happened, the relationship is actually stronger for having failed. We need to stop worrying about always being perfect, and never making a mistake, and take any energy, and effort, and focus that would go from that type of thought process, or behavior, and channel it into customer service recovery procedure. When things go wrong, how do we repair them in a way that leaves our customers smiling? We give 10 key things as outlined in Micah's fantastic article, but what are some key takeaways? If we were going to boil this down, Dan, what are your thoughts as to some of the big takeaways from this list of 10 things we should be focused on? Dan: I'd say the first one is that great customer service does not happen by accident. You have to have the right structure in place, you have to have the right employees in place, in order to make it remarkable. I think Micah does a really good job of laying out 10 things that are needed, in order to create that at your company. Joey: Absolutely, I think a second take away, is customer service, and customer experience creation, is not a once, and done effort, right? 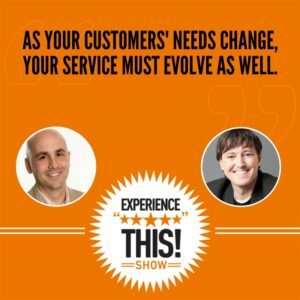 As your customer's needs change, your service must evolve, and change as well. That's why we need to constantly monitor, tweak, hone, be working on our overall customer experience, and making sure that as things evolve, we are evolving along with our customers. This is why, for example, he recommends the idea of regular mystery shoppers. This allows us to keep a finger on the pulse of what's actually happening with our customers, to make sure that we are being responsive to what they need, and want. Dan: Finally, you need to constantly remind your employees of your customer service priorities, because it will take a while to ingrain it into your culture. Once it's there, like it is for some of the companies we mentioned before, you're going to see amazing things on a regular basis, but it does take time. We want to think Micah Solomon for his great article, and as always, we will include the link to the article on the show notes, which you can find at experiencethisshow.com. Please come check us out, you also have the opportunity at the bottom of every page, to leave us a comment on the SpeakPipe widget, which we would love to hear about what you're liking, what you're not liking about the show, if you've had an experience that you want to share with us, or you'd like us to talk about, we are happy to hear from you, it's really easy to do, so thanks for stopping by the experiencethisshow.com. Speaker 1: Sometimes the customer experience is amazing, and sometimes we just want to cry. Get ready for the roller coaster ride in this edition of, "I Love It, I Can't Stand It." Dan: Take me out to the ball game, take me out to the crowd, I love going to the baseball game, or football game, or basketball game, but I'll tell you, it's getting harder, and harder, as ticket prices are increasing, to take a family of four there, or a family of five, and the expectations therefore are getting higher, and higher. I mean it's so easy to stay at home, and watch the big game on your own TV, eat your own food, drink your own drinks, and spend almost no money. When we go out to the ballgame, we expect a really great experience. Here are some things that Joey and I love, and can't stand about attending sporting events, Joey. Joey: I absolutely love, and I'm a little crazy this way, I love sitting super close to the action. Right on the field, courtside, up close, I like to be able to see the sweat running off the players. Now, you don't get the full landscaped effect that you do when you sit up, and above, and you can see the entire field, or the entire court, but I like to be up close, it makes me feel like I'm actually in the game. Dan: I just really like an easy view of the scoreboard, or the Jumbotron, because there are seats at my home field, Wrigley Field, that you can't even see that. Joey: I love that you call Wrigley your home field. Listeners, you do not understand what a rabid fan Dan Gingiss is of the Chicago Cubs. I love it, I love it. Dan: Anyway, less of a rabid fan of Wrigley Field, because there are way too many seats where you can't see the scoreboard, or the Jumbotron, and especially, as I said before, with watching the TV at home, you want to be able to see the replays, etc., so I'll take one that has an easy view of that. Joey: Fair enough, I love it when the people that work for the team, like the staff, the ushers, the people at concessions, that they are super excited as well. They get the chance to go to every game, and I'm a big believer that your employees are part of the experience as well, so I'm counting, when I'm at that sporting event, on the experience being delivered by everyone who is employed by the team. From the ticket taker, to the person in the booth, running the reply, to the person who's showing where my seat is, to the person who's throwing hotdogs down the line. I want them all to be as excited about being at the game as I am. Dan: Yeah, it's totally true, and one of things that I love that's very related to that, is when an employee takes the time to do something special, or memorable for the kids, and even sometimes it's just giving them a sticker, or giving them a high five, or something so that they feel special. There is something they do at Wrigley field, besides from giving out stickers, where you can get a certificate, if it's your first game, and they put your name on it, and all that sort of thing. I think it's really nice when they focus on the kids. Joey: Love it, I also love the fan traditions. For example, I went to Notre Dame for undergrad, and there is a tradition at Notre Dame, that when you score a touchdown, people will lift folks in the stands up above their shoulders, and then they'll do seven push-ups, one for every point, or for example, when it's third-down, and it's a particularly important play for the defense, everybody will get their keys out of their pocket, and shake them, to symbolize that it's a key play, and you hear all these keys shaking in the stadium, and they're fun fan traditions, that if you're a regular, you jump in, and you participate, and you know them. If you're there for the first time, you feel like you're a part of something bigger than just being an audience member, or a spectator at the show. Dan: Absolutely, and I'll add two more Chicago traditions to that list. For many, many years, fans at Wrigley Field sing, "Go Cubs go," after the Cubs win a game. I can imagine as an opposing team, they probably hate that song, but obviously the Cubs really like it, and as fans, we really like it, because it means we won the game. If you go to a Blackhawks game at the United Center, one of the things that they've always done, is make a ton of noise during the national anthem, and it's really interesting, because they have one of the best anthem singers in the entire world, and this guy makes a lot of noise. He's loud, he is just one of the most powerful anthem singers, and the stadium is so loud. It's rocking before the game even starts, and I think that's a fun tradition as well. Unfortunately, there are some things that we really can't stand about sporting events, Joey? Joey: Okay, here's the thing, expensive food is bad, but if it tastes great, all can be forgiven, because you've paid a lot of money, but man you had a filling meal, and that's great. Bad tasting food that is also expensive, is completely unacceptable. Folks, there are a couple of stadiums, and ballparks around the country that have recognized, if they charge you two or three dollars more for the burger, or the hotdog, or whatever they're going to do, and they really get a quality product, that I will happily pay that extra money. If you're going to charge a lot of money, man make sure that the food is high quality, and tastes really good. Dan: This is not, "Agree to Disagree," our other segment, but I actually can't stand the pricing of food, and drink at the ballpark period, regardless of the quality. I think that it's gotten completely out of hand, you're paying five, six dollars for a regular sized bottle of water. Seven to eight dollars for a hot dog, I recently saw $11 for a can of light domestic beer, a can of light domestic beer, that's just ridiculous. I think, yes, everybody likes high quality food, but it's getting harder, and harder to forgive the prices, because it is just way, way too expensive. Joey: Absolutely, $11 for colored water? Come on, work with us folks, work with us. Dan: Hey, the clear stuff is only six. Joey: Yeah, exactly, duh duh duh, there you go. Another thing that I really, really struggle with, is bad sportsmanship, not only amongst the players, but where we're really seeing it spill out a lot lately, is amongst the fans. I mean I know I'm not the most sports minded guy on the planet, but folks, it's a game. Enough, you're there to watch, and I know you're excited, and I know you're rooting for your team, but if you're getting into a fight with someone else in the stands, you really need to look in the mirror, and ask yourself about your life choices. I'm sorry, be a good sport on the field, or off the field. It speaks well to your team, and the reputation your team has within the league as well. Dan: That, ladies and gentlemen is one to grow on. Joey: Duh duh duh duh. Dan: One other thing I can't stand, is when tickets are not listed as obstructed view, and I'm going to bring back my home park here at Wrigley Field, and tell you that I recently took my son to a game, and one of the seats that we purchased was right behind a pole that blocked home plate. Now, I can't believe there's a seat there in the first place, but the fact that it was not written on the ticket, is absolutely unbelievable, and frankly, I think should be criminal. Joey: Dan, I'll go one step further, stop selling these seats. Any obstructed view seat should not be sold, it's pathetic. If I can sit at home, and watch in the comfort of a flatscreen TV, with surround sound, drinking my own drinks, and eating my own food, at a fraction of the cost, why would I want to come to the park, and sit behind a pole? Stop it teams, stop trying to milk every penny out of every seat. Your fans would actually be willing to pay the incremental cost for the what? 30, 50, 100 seats that you're going to have to not have be part of the sales process, because they're obstructed view. Just get rid of them, do something fun with them, be creative, but don't sell them. Dan: Finally, on the can't stand it, I can't stand it when it is impossible to park, or you can't find a parking space, or there's no good public transportation to an event. I do think that when stadiums are built, part of the experience that is often missed, is how you get to it, and from it, and there have been way too many experiences for me, sporting events, concerts, whatever where you spend an hour trying to get out of the parking lot at a dead stop, when it's late at night, and the show is over, so that's another piece for me that I absolutely can't stand. Hey, now for something different Joey. Dan: We've actually asked some of our listeners what they love, and can't stand about attending sporting events. Why don't we hear from them now. Melissa: Hi, my name is Melissa, I love it when I take my kids to the Cubs game, and if we're walking past an entrance that we're not even going in, someone who works there, walks up to my kids, gives them a high five, gives them a sticker, tells them to enjoy the game. They absolutely love that. I can't stand it when I run out of the drink that I want, but they only serve it at the bar in Wrigley Field, and so now my husband has to go down, and get the drink, and then potentially miss the home run that Kris Bryant's going to hit. Tina: Hi, my name is Tina, and I love it when I can get a beer sitting down at the Cubs game. I can't stand it, when I have to wait an hour to go to the bathroom. Kristi: Hi, my name is Kristi, and I love it when there's a great mobile app experience at a sporting event, good interactivity with the event, and great experience with your peers. I can't stand it when there is a huge line outside of the stadium, and it takes 20 minutes to get through the doors. Joey: I love it, we are such fans of you, our listeners chiming in, and taking an active role in the, "I love it, I can't stand it," segment of our podcast, and you too listeners, have the opportunity to be on a future episode. Go-ahead to experiencethisshow.com, and you will see a little widget on the website, called SpeakPipe. It's really super easy, you press on it, it allows you to leave a recording that Dan and I will get, we'll have the chance to listen to it, hear your thoughts, and then share it on a future episode. If there's something that you love one aspect, but you can't stand another aspect about it, share that, and we'll build an entire segment out of it. Go ahead, and check out experiencethisshow.com, leave a message for us using the little SpeakPipe widget, and let us know what you love, and what you can't stand. We love telling stories, and sharing key insights you can implement, or avoid based on our experiences. Can you believe that this just happened? Dan: Surprise and delight is one of those overused terms in marketing, social media, customer experience, and it's usually because companies try to concoct surprise, and delight moments. It becomes a strategy instead of something that just happens. Just to prove my point, Joey, are you near a computer right now? Dan: All right, do me a favor, and Google surprise, and delight, and you'll see what I mean, seriously, right right, I'll wait. Joey: I'm supposed to do this for real? Joey: Okay, hang on a second. Okay, thank you Google, let's see, here are the top three results. Brands can build loyalty with surprise and delight efforts. The shocking truth about surprise and delight strategy. A strategic approach to surprise and delight. Wow Dan, you called it man, there's a lot of ways that they're approaching this, but all of them seem to revolve around some type of a borderline, creepy, nefarious strategy of sorts. Dan: Well, here's a new idea, the most surprising and delightful moments, are usually the ones that are unplanned, not strategized ahead of time. I'm going to give you three recent real-life examples that I've had Joey, as I think are good examples of this. I had a guy come, and fix my fireplace recently, and it turned out that it's a gas fire place, and my wife and I tried to light it, and we were unsuccessful, and the house smelled of gas, and we got really nervous, so we just shut the whole thing down, had him come, and look at it. He comes and looks at it, and within about three seconds, he says, "There's nothing wrong, you guys were just lighting it the wrong way," and he shows me how to light it, and he's done, five minutes. I said, "What do I owe you?" He said, "Nothing." I said, "What do you mean nothing?" I said, "You came out here, and you showed me how to light the fire place, thank you, that's great." He said, "Yeah, but I didn't do anything, I didn't fix anything," and he said, "Just do me a favor, and tell your friends that if they need help with their fireplace," he gave me a card, and he said, "Have them call me." He didn't charge me, and talk about surprise and delight, I'm expecting an $85 bill, and he just didn't charge me, and I thought that was absolutely amazing. Very similarly, I also had some problems with my gutters recently, and the guy came out, and he gave me a quote, and he told me what it was going to be, and then he had to come out a different day to actually install them. I get a phone call about a day later, and the guy says, "It turns out that it wasn't as expensive as I thought it was going to be, and so I'm actually refunding whatever hundred dollars it was, because it turned out to be less." I was like, "Holy cow," I mean he could have just charged me, I would've never known the difference, so those are at least two beginning examples, what do you think of those? Joey: I love it, I love it. I mean first of all, it's not charging for something that would be ridiculous to charge for, and second of all, not overcharging, and saving the customer a buck. What happens, is you love these experiences, you tell other people about these experiences, and my gut instinct, is if you ever need any work done on your fireplace, or any work done on your gutter, there's only one call for each of those activities that you're making. It's to the people that saw the benefit of the long term relationship over the short term revenue. Joey: Dousman, Wisconsin. Hey, Dousman, thanks for calling in today. Dan: Exactly, so we were out camping, and I went to the Corner Stop, now I am going to admit, the reason I went to the Corner Stop, was because I wanted to pick up some beer. I go in, and I pick up some beer, but one of the things that we were missing at the campsite, and it was driving us crazy, is we forgot to bring a roll of paper towels, and you just spill stuff, and there's just so much mess, and so we're looking for paper towels, and I had already Googled, and I don't think there is a grocery store, or a Target, or a CVS in Dousman, Wisconsin. Joey: I love that you are Googling in Dousman, Wisconsin. Dan: I go to the front counter, and I pay for my beer, and I said, "I know this is nuts, but where can I buy a roll of paper towels?" She goes, "Oh, I have one in the back, hold on a second," and she walks out from behind the counter, she goes to the back, she hands me a brand spanking new roll of paper towels, and I said, "How much do I owe you for that? She said, "No problem, just take it." I was like, "What?" Joey: You thought to yourself, "I'm not in the big city anymore." Dan: No, and I was obviously very happy, and so ladies and gentleman, if you ever find yourself in Dousman, Wisconsin, please go buy some beer from the Corner Stop. Joey: Go shop at the Corner Stop, they take good care of you. Yeah, again, it's such a little thing, but oftentimes I think we just need to bring humanity back to the customer experience. That's a decent thing for one human being to do for another human being that they see is in need, just solve their problem, help them out. Dan: Yeah, absolutely, and the last one I wanted to share, was actually a courtesy of my mom, hope you're listening mom. Mom ordered a product called the MagnaPin, that's M-A-G-N-A-P-I-N, and Joey, since I'm guessing you don't know what a MagnaPin is, I'm going to tell you. Joey: I will plead some ignorance, I am not yet familiar with the beauty of the MagnaPin. Dan: Well, you can learn more at magnapin.com, but basically what it is, is it is a device, so that if you have a pin, either like a decorative pin, or even like a name tag at a conference, and it's one of those things where you are supposed to poke a hole through your clothes, and if you're wearing satin, or leather, or suede, or something like that, you don't want to poke a hole through your clothes. Joey: I love it when you wear suede. That's my favorite version of Dan. Dan: The MagnaPin, makes it, it protects your clothing, so that you do not have to poke the hole through. My mom thought this was cool, she goes to magnapin.com, she orders one, the cost of a MagnaPin is $13.95, plus $4.95 shipping and handling, and we said there would be no math on this show, the total is $18.90. My mom then gets, in the mail, two MagnaPin's, and she knows that she only ordered one, but hand written on the invoice, it says, "Carole, thank you ever so for your order, however, a lady can't have just one MagnaPin, so enjoy this additional one on us. Peace and joy, MagnaPin. Joey: Wow, I love it, such a little surprise and delight moment, and looking out for your mom, and recognizing that the kind of person who's going to want one of these, I imagine it's not a large item, right? There might also be a little bit of this getting lost factor, I'm not sure, but I'm guessing here. Why not just give two from the outside, I love it, love it, love it. Dan: Great ways to surprise and delight your customers, that don't have to be part of a strategy, and that's really the key takeaways. Be honest, price your products, and services fairly, go above and beyond when possible. These are things that any company can do on a regular basis, that will still surprise and delight your customers, even if it's not strategic. Joey: Listen in while we try to stump and surprise each other with a fantastic statistic, from the worlds of customer experience, and customer service. It's time to, "Check out this number." Okay, Dan, this week's number, is 38%, what do you think it means? Dan: I'm going to go with the number of people who can successfully unscrew a Double Stuf Oreo, and eat the cookies, and the cream separately. Joey: Well, while that maybe true, the 38% I'm referring to, is actually the percentage of small business owners, who said they are, "Concerned about the question, are we able to leverage our current customer base for upsell, and resell opportunities?" This statistic comes to us from our fantastic sponsors, Oracle CX Cloud, and their report, "Sleepless Over Customer Experience. Small Business Leaders Top Sales, and Service Concerns, and How to Fix Them." Dan: I feel like we're focused on the wrong thing here, and I think that's why this is part of the Oracle CX Cloud report, is that if we're only focused on up selling, and reselling opportunities for our current customer base, we are missing a huge opportunity to show our customers a great experience, make them love the product, or service they already have, which of course is then going to increase the chances that they buy more for us in the future. Joey: Absolutely, do the right thing from the outset, quit trying to sell to everyone. For more fantastic statistics like this one, go to oracle.com/inc.report, that's I-N-C report. Enter your email address, you'll be able to get the full report, and thanks again to Oracle CX Cloud for being the wonderful fantastic sponsors of the Experience This! Show.